Have you waited for your plans to come unfold only to have them fall apart? Have you mapped out the blueprint to your life but can’t seem to make it a reality? You may have heard the joke, “If you want to make God laugh, tell Him your plans”. 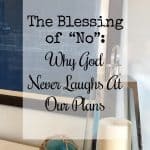 But in reality, as difficult as it is to let go of our expectations, God’s “no” is so often what we need most. One spring day, my dad was going through my grandparents’ old things. In the trash pile, I saw some old rolled-up blueprints. 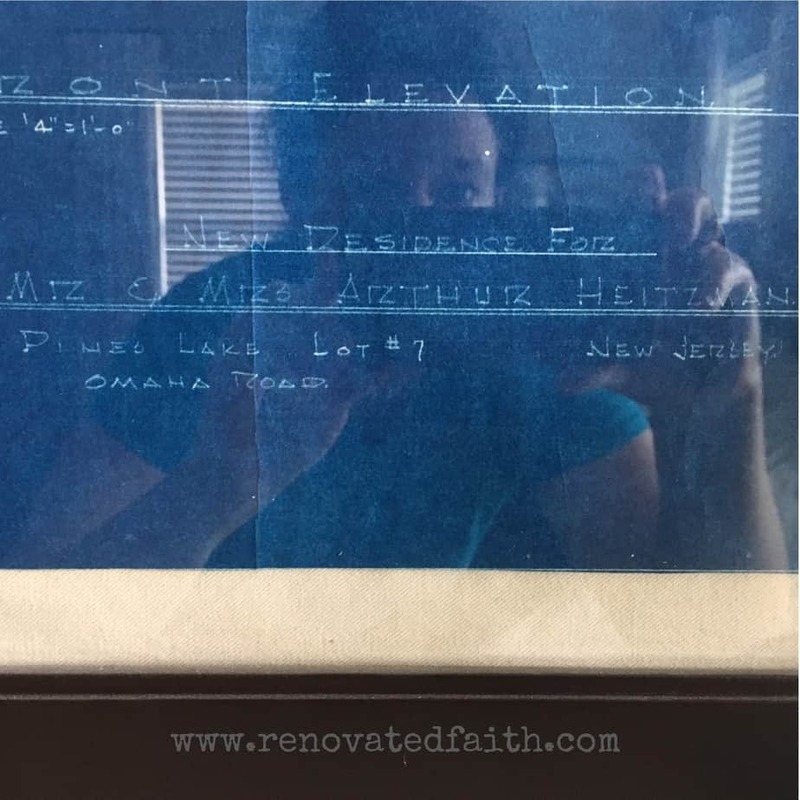 I unrolled them to find a picture of a house that was never built and a dream that had never been realized. My grandparents lived in New Jersey and had grand plans to build the very home sketched on those worn, brittle pages. However, God had a different plan. An opportunity to start their own photography business arose in Houston and the house they had dreamed of was never built. Knowing the move from New Jersey to Texas would be a difficult one, they almost changed their minds at the last possible minute. However, the moving van was just around the corner and so were the plans that the Lord had laid before them. What would have happened if the dream of that house was realized? What would have come about if they had stayed in New Jersey and adhered to their plan? For one thing, my parents may have never met and I would have never been born. They had to make a sacrifice to follow the right plan and my life was one result of many. God knew that Christ’s death on the cross would force His only Son to bear merciless pain but the outcome would be far worth His suffering. As a result of Christ’s death on the cross, a sacrifice was made allowing anyone access to eternal life by having faith in Him. God understands that change is hard for us. It was not sinful that Christ asked for the cup to be taken from Him. Therefore, it is not a sin to ask for a break from suffering, but like Christ, we should be submissive to God’s plans overall. God knows suffering is…well, suffering. He realizes pain is difficult and He doesn’t expect us to like it. It’s a sacrifice for a reason. No grit, no pearl. Our plans don’t make God laugh. God doesn’t take joy in our suffering. Can you imagine the anguish God felt when He had to watch His Son die on the cross? God changes our plans because He knows sometimes difficulties are necessary for us to experience His best. God’s no is ALWAYS worth it. Christ experienced the depths of human anguish on a level we will fortunately never fully experience. But in the end, He appeared before the disciples, his fishing buddies, and showed them the scars on his hands, with joy in His heart and the gleam of heaven in His eye. Because of His sacrifice, we can experience that same joy in His Presence. We’ve all been there. Each of us had experienced times when God had said no to our dreams – when he has closed a door that we always envisioned walking through. So often I have kicked and screamed when these times have come, pouting all the way as God ushers me to plan B. 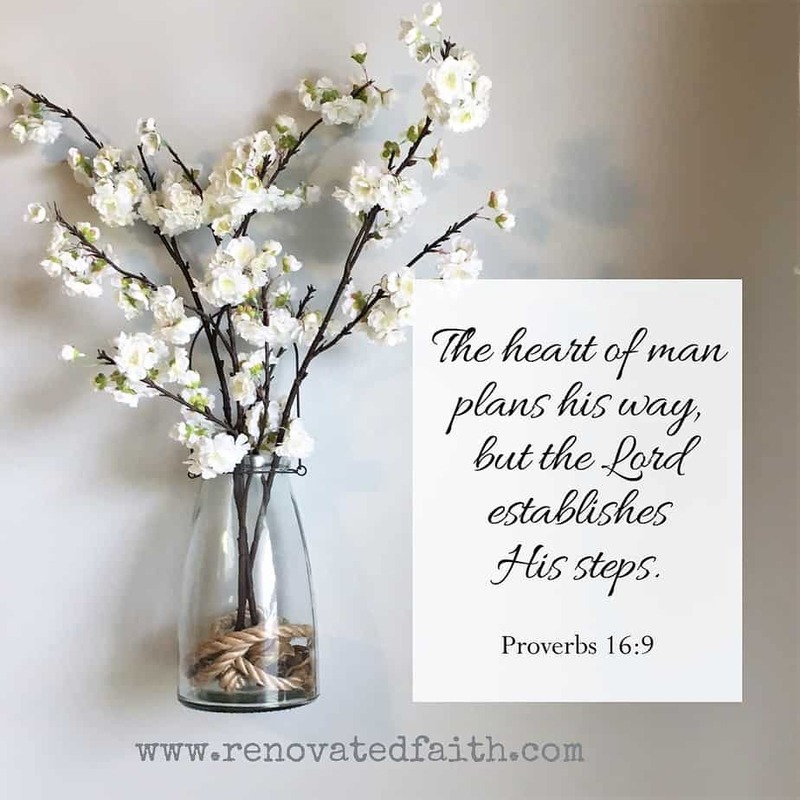 But in reality, I eventually realize that His plans were Plan A all along, that He knew what was best, in spite of what I thought was best for me. 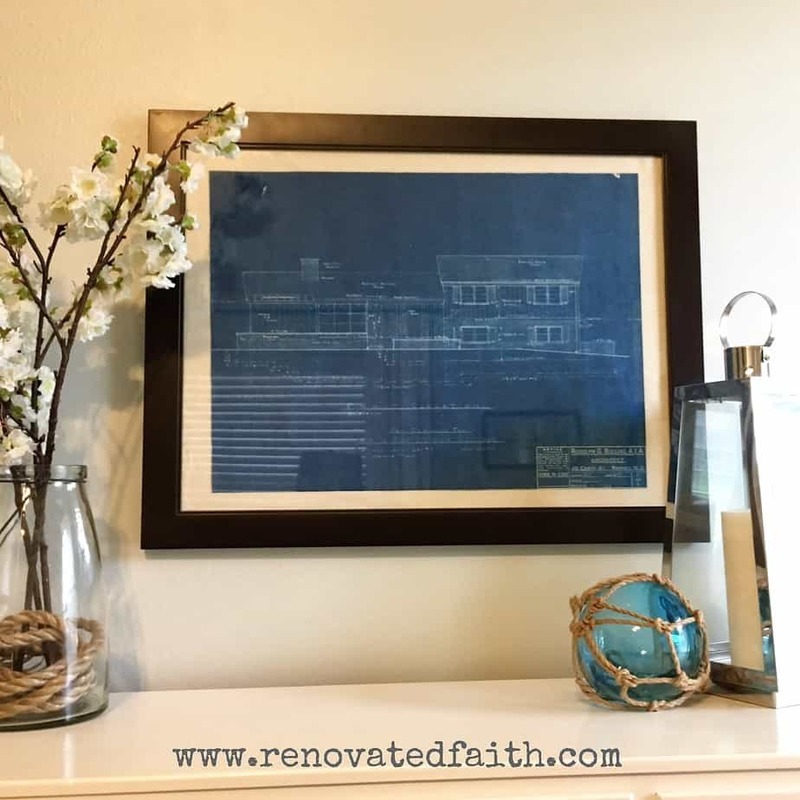 When I look at the blueprint, now framed in our office, I am thankful for God’s “no’s” Whether it was the boy I shouldn’t have been dating, the career I would have been miserable in or the house that wasn’t meant to be, He knew His plans were best and loved me enough to redirect me from what I thought I wanted most. Where are you stuck right now? Do you feel like God is putting up a roadblock to some area or your life? Here are three possible reasons for God’s “no” in your life right now. Disobedience – God tells us “no” when we are not obedient to Him and His Word. Fortunately the Lord is faithful to those who return to Him. God disciplines those He loves as a father disciplines His child in order to protect them. Defiantly seeking things not of Him is like sticking your hand in snake den. Eventually you will get bitten and the results will be painful, if not deadly. “Just Wait” – So often a “no” is really God’s way of telling us to wait either because we aren’t ready for what’s ahead or the circumstances aren’t in place yet. Be patient to see what God has in store – it’s worth the wait! 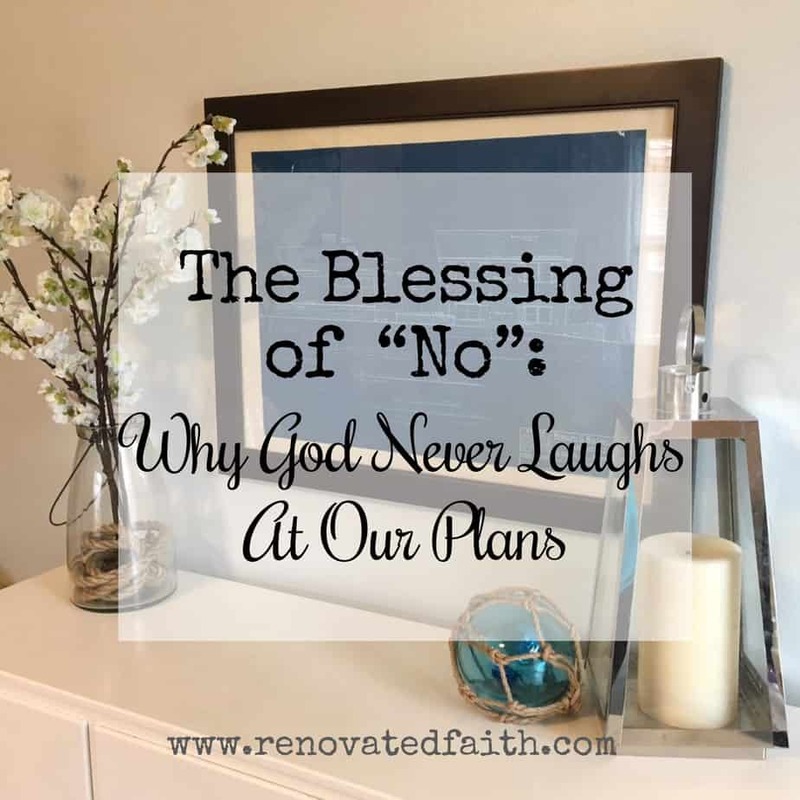 NO = “My plans are better” – God only changes our plan because His path is better than what we desire. “Better” doesn’t necessarily mean “easier” but His Design will always be worthwhile. 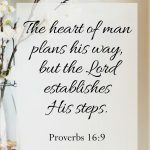 “The mind of man plans his way but the Lord directs His steps” (Proverbs 16:9). There is nothing this world can offer greater than having the creator of the Universe lead you every step of the way. I would rather walk with God in the dark than go alone in the light. Even in the hardest of times, we can have contentment knowing that He is our protector. What about YOU??? What blueprints aren’t going into the construction phase? What doors is God closing? Pray to God about what you are experiencing and thank Him for what plans He is working on behind the scenes. I hope you were encouraged by my post this week! If you would like to receive weekly updates from Renovated Faith in your inbox, click HERE. This is beautiful! Easter Blessings to y’all! Thank you my sweet Aunt Bev! Love you! You and me both! Like the song says, “He’s got the whole world in His hands.” How easily I forget that… Thank you for reading! Wonderfully written, and so appropriate for this season in my family. Thank you! I shared this! Thank you so much Pia. Praying for you and your family during this season. I love this Karin!! 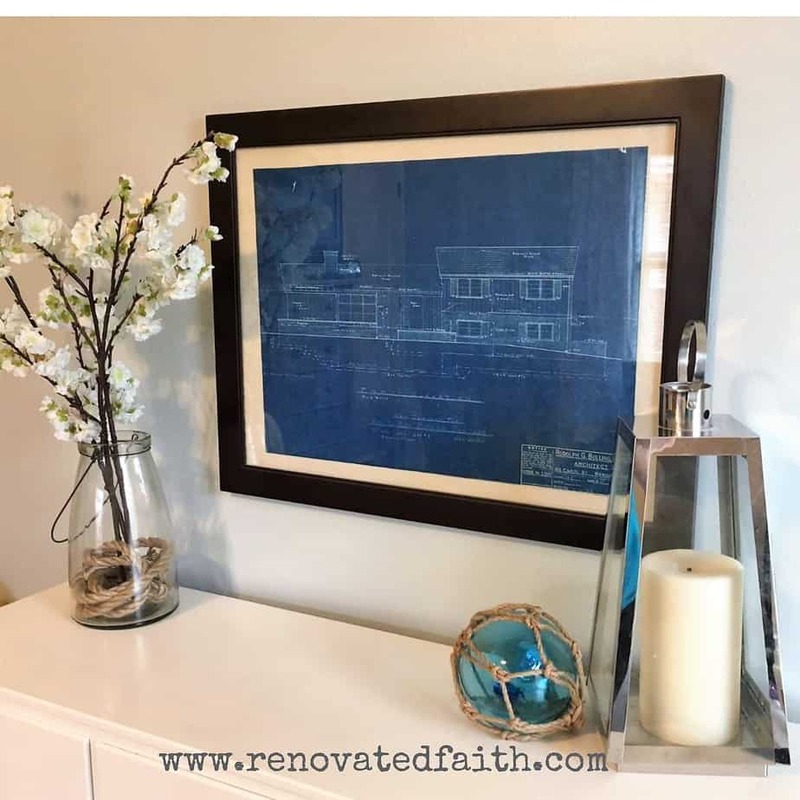 Finding the Blueprint and the story behind it…what a treasure! You’ll never forget it and after reading your post, neither will I! Thanks for sharing! Thank you so much Betty! I so appreciate your encouraging words. It is one of those blessings that I couldn’t help but write about! Thanks again! I love how you qualified the no’s here. 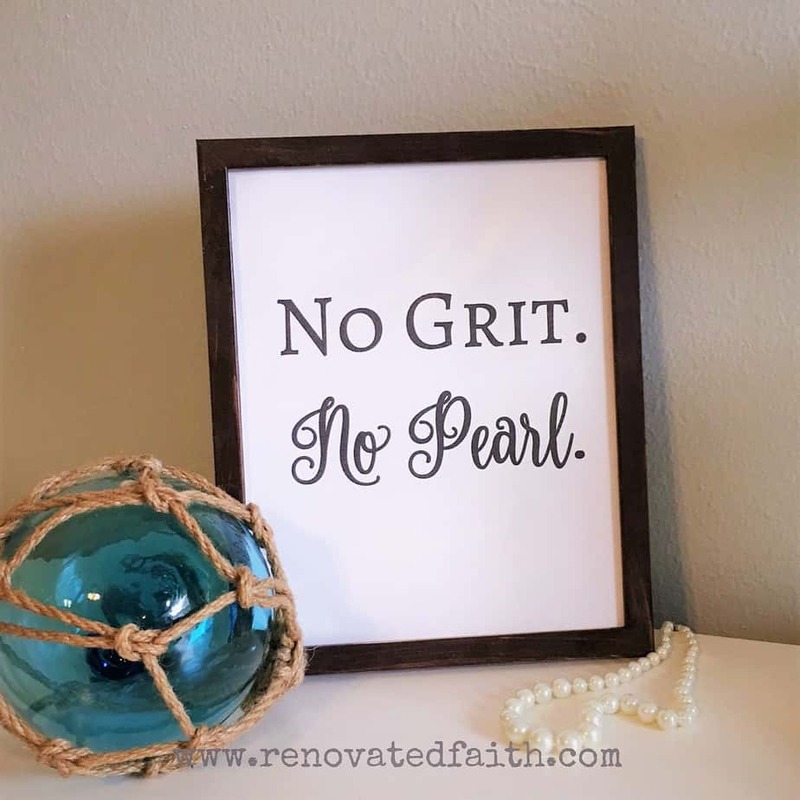 The saying, “No grit, no pearl.” is perfect.